The world’s largest food company, Nestlé, is seeking a patent on the use of Nigella seeds to prevent food allergies, claiming the plant seed and extract when they are used as a food ingredient or drug. Commonly known as habbat al-barakah in Arabic, and frequently called “black seed”, “black cumin seed” or “fennel flower” in English,1 Nigella sativa is an ancient food and medicinal crop. The date and location of domestication of Nigella sativa is not clearly established, but the plant was certainly under wide cultivation more than 3000 years ago, when it was placed in the tomb of Egyptian King Tutankhamun. Historical evidence also shows contemporaneous, or earlier, black seed cultivation in Jordan and Iraq. In addition, wild types of Nigella sativa grow in Turkey, Syria, and Iraq, suggesting domestication may have originally occurred there. In ancient times, Nigella sativa cultivation ranged at least from North Africa across the Middle East and into South Asia, where the plant has also been used in traditional medicine for 1000 years or more. 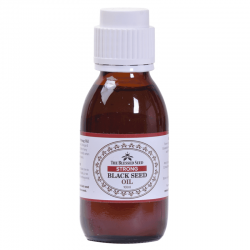 Because the black seed is widely cultivated, unlike some medicinal plants, obtaining plant seeds is very easy. The Nestlé Nigella sativa story is instead about how traditional knowledge has been appropriated. Thus, although the case is unlike biopiracy cases that involve illegal access to rare or endemic plants, it shares a common theme of many of those cases: corporations claiming traditional knowledge as their own in patent applications. 1. Nigella sativa has many common names. English renderings of the Hindi name, such as”kalonji”or”kalaunji,” are also sometimes used as English common names. Nestlé’s international patent publication (WO2010133574), published in November 2010, is directed towards use of Nigella sativa to stimulate opioid receptors in the human body, thereby preventing or reducing allergic reactions to foods. With the addition of thymoquinone to their diet, the mice exhibited a less severe allergic reaction to the egg protein. In addition, because it has been widely consumed for so long, it does not require stringent regulatory review as a drug or as a new food additive. It can also be labeled “natural”, to attract consumers that seek to avoid highly processed foods or artificial ingredients. 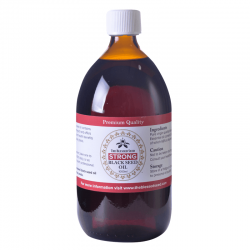 Thymoquinone from black seed has been the subject of significant formal scientific interest since the 1990s, with many studies focusing on its potential use as an antioxidant (to prevent fat build up in arteries) and as a potential cancer treatment. On its face, it might seem that Nestlé has discovered a new application for thymoquinone, but dig a little deeper, and Nestlé’s claim of novelty vanishes quickly. The type of food allergy of greatest focus is upset stomach and diarrhea. Nestlé claims pure thymoquinone and/or whole Nigella sativa in a huge range of doses. These go from 0.1 to 90 milligrams per kilogram of body weight per day for pure thymoquinone, to up to 50 grams if administered in the form of plant seeds. Nestlé claims any use of thymoquinone or Nigella sativa for the purpose of mitigating food allergies (including as an oral or injected drug). However, the patent application is particularly directed toward foods, including “NaturNes”, a baby food brand that the company markets in Europe. “NaturNes” is the corporate giant’s “green” baby food product aimed at EU parents concerned about chemicals and the environment. “NatureNes” marketing materials pledge “100% natural ingredients”. With the addition of black seed, Nestlé may add product claims about easier digestibility or decreased incidence of food reactions. But on the scientific front, thymoquinone’s action on opioid receptors is not a Nestlé discovery. Thus, Western-style science, and developing country science in particular, has already established thymoquinone’s activity on opioid receptors. But what would cause Nestlé’s researchers to link thymoquinone to treatment of allergic reactions? A brilliant discovery by a team of PhD’s in white laboratory coats at Nestlé’s sparkling facilities in Switzerland? In traditional medicine, for hundreds and probably thousands of years, Nigella sativa has been used to treat digestive ailments. 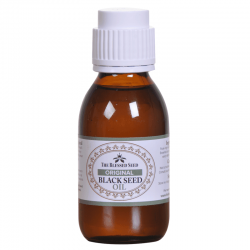 Further suggesting an anti-allergic effect, black seed is also traditionally used to treat asthma and respiratory inflammation. These traditional uses are well known, and have led scientists who study traditional remedies from Eastern Mediterranean, Middle East, and Asian countries to validate traditional medicinal uses of Nigella sativa by using formal scientific methods. This has resulted in dozens of confirmatory studies, including studies validating traditional use of black seed for gastrointestinal and allergic indications that Nestlé claims are its invention. • In 2008, Saudi Arabian medicinal plant researchers tested a traditional preparation of Nigella sativa seed used for gastrointestinal problems. Rats given the remedy developed fewer stomach problems than a control group when they were both given damaging doses of alcohol. 12 properties related to controlling allergic reactions. 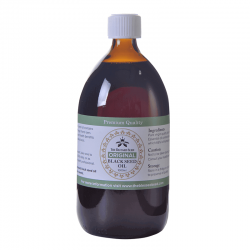 • In 2005, Turkish researchers conducted a study similar to the Saudi experiment, also concluding that Nigella sativa and, specifically, thymoquinone in black seed oil, protected the stomach. In claiming use of Nigella sativa against food allergies, Nestlé’s scientists have not innovated beyond what was already known in traditional medicine from Egypt to India and beyond. Moreover, prior to Nestlé’s claim, researchers in those countries used formal scientific methods to demonstrate the efficacy of traditional use of black seed to treat allergy symptoms. Those simple facts, however, have not deterred Nestlé from advancing its claim. In November 2011, Nestlé’s patent application in Europe was published. Other national (or regional) applications may exist but have yet to be published. Recently, the Patent Cooperation Treaty (PCT) released a search of scientific literature related to the application, and found problems with Nestlé’s claim to have made an invention, citing some of the same research that is noted in this report. 15 The PCT opinion, however, is not binding on national patent offices, and Nestlé may submit modified claims. Thus, while the opinion is a blow to Nestlé’s application, it doesn’t mean that the claims are dead. It can be hoped that Nestlé’s claim will be turned down by patent authorities, but the fact that patent claims over traditional knowledge that preceded it have result in patents shows that intellectual property offices sometime share industry’s disrespect for traditional knowledge. Indeed the fact that a corporation with the resources of Nestlé would pursue a patent on such an obviously pilfered “invention” at all is indicative of the need to improve patent review standards so that such applications are not worth filing in the first place. medicinal practices transferred a millennium ago. AbstractOpioid dependence is a chronic disorder that produces changes in brain pathways that remain long after the patient stops taking the drug. These protracted brain changes put the dependent person at greater risk of relapse. Detoxification can be successful in cleansing the person of drugs.